Hi everybody! Happy Friday! While the boys are still at school, and I can get my thoughts typed out, I thought I’d share 5 random things that I’m really enjoying lately. This is my catch-all post for everything I want to share with you but I don’t know where to put. So here goes! 1. Where the Crawdads Sing: started reading this one after finishing Eleanor Oliphant is Completely Fine (cute but only OK), and I can't put it down. 2. 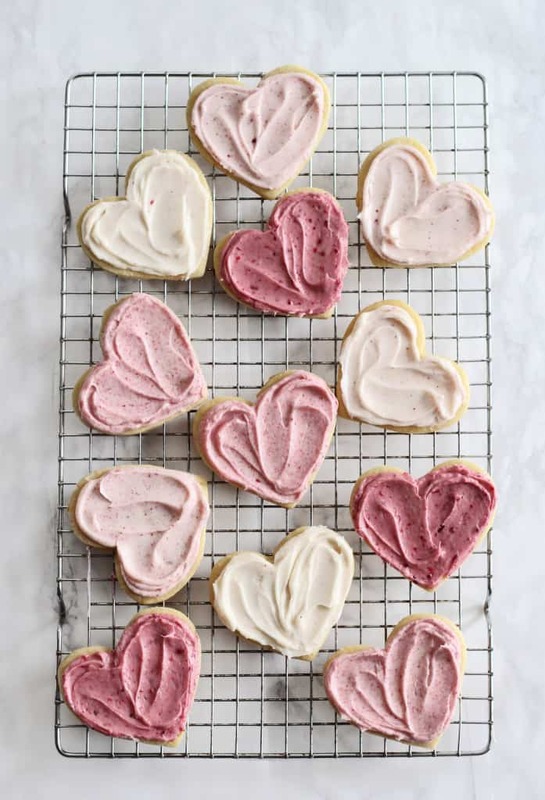 These ombre raspberry lemon sugar cookies for Valentine’s Day were so fun to make with the boys and taste SO GOOD. We're boxing up our extras in pastry boxes and delivering to neighbors to spread the love. 3. These Aerie leggings are AH-MA-ZING. They’ve been raved about just about everywhere, and truly are just as good as Lulu Lemon. I loved them so much I got 2 pairs. 4. The podcast Dr. Death is an amazing binge listen. It’s about a renowned neurosurgeon who claimed he was the best in taking pain away. Soon, his patients started to experience complications…and I’ll leave it at that as not to ruin it 😊. 5. Last but not least,if you haven't watched The Sinner on Netflix, your weekend plans are made. You're welcome. Wishing you all a great weekend ahead! It's back to winter weather over here, but looking forward to some fun indoor activities with the kiddies. Stay warm and enjoy!